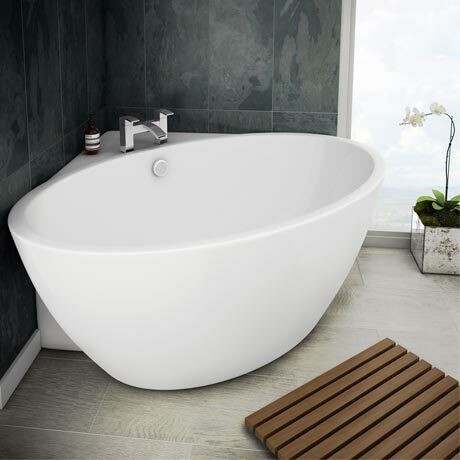 The superb Orbit modern free-standing corner bath, bring a neat finish into your bathroom with this stylish curved space-saving bath. Manufactured from smooth 4-6mm thick white gloss acrylic. 4 out of 17 found this question helpful. Not fitted yet - but looks lovely. Bath arrived and relieved it was excellent quality and as pictured. "This is currently taking pride of place in my conservatory until bathroom ready for it, my friends have commented on how lovely the design is, how wonderfully deep and stylish! I'm so happy with my new bath!"